Across the internet you may see jokes about retail stores decorating for the holidays before Thanksgiving, but they’re doing it for good reason. According to the National Retail Federation’s (NRF) 2017 Holiday Planning Playbook, more than half of the customers surveyed start researching what holiday gifts they want to buy for friends and family between August and October. Another 33 percent make holiday purchases before Halloween. What does that mean? It means that every year when you start prepping for the holidays while back-to-school sales are still in full swing, you’re not crazy. You’re just making sure you’re ready to deal with the swarms of shoppers come November and December. That’s just one of the super-helpful stats included in the NRF’s 2017 Holiday Planning Playbook, which surveyed over 2,000 holiday shoppers to understand how they plan and shop for the holidays. Sixty-six percent of customers do research on purchases of less than $50. Customers want to be informed about their holiday purchases — and they’re starting their research as early as August. And they’re not just researching really big-ticket items, they’re putting time into all their purchases. The best way to ensure customers buy your products is to help them do their research. Make your products discoverable online with a strong e-commerce strategy, solid SEO, paid marketing, and a great social media presence. Some retailers are taking an omnichannel approach to research by incorporating QR codes in their stores so that consumers can easily access a product’s web page on their phone. Forty-eight percent of customers made an impulse purchase last year. Even with all of the research they do, consumers still do a lot of impulse buying. Fifty percent of these buyers made an impulse purchase because the product had a limited-time offer attached to it. So take advantage of this insight and offer a special, time-limited discount, free shipping, or a free gift with purchase. Forty-seven percent of millennials look to Facebook for holiday gifting inspiration. While 44 percent of shoppers take gift ideas from friends and family, sometimes they need a little inspiration. Millennials look to Facebook more than any other digital channel. In fact, the same percentage of millennials who look to Facebook for inspiration also look to TV. The great news is that you can get great targeted reach with your Facebook campaigns at a much, much lower rate than you would with more traditional channels. Facebook’s algorithm puts a premium on video content, so you might try developing videos that highlight your seasonal products. Or you could create a paid campaign that highlights a special offer. Here are some tips for improving your Facebook page. Forty-four percent of Gen Zers look to Instagram for inspiration. Gen Zers are teenagers, but that doesn’t mean they don’t have buying power — they spend $44 billion annually (and probably influence more than that). And when they look for inspiration, they look to Instagram. So if you want to reach this group, you need to invest in visuals — beautiful images and catchy videos. Here’s how to get started with Instagram. If you want to reach new consumers on Instagram, you might look into influencer campaigns. Some celebrities get paid thousands of dollars to post a single photo with a product. But few of us have that much to spend. Instead, think about running a micro-influencer campaign that targets your specific niche. Sixty-three percent of shoppers want to use online wish lists for gift purchasing. Wish lists, or registries, are not reserved for the bride or mom-to-be anymore. A quarter of the survey respondents have used wish lists, but more than double that would like to use them in the future. Wish lists are great for shoppers because they make the whole process easier. If you already have a registry feature on your website, think about how you could convert it for the holidays. If you have fewer resources to create a digital wish-list feature, think about how you can make the shopping experience easier in other ways. Try creating digital gift guides that you can send to customers; if you really want to invest in this, create guides for different groups — moms, dads, teens, etc. Fifty-four percent of holiday shoppers use recommendations from retailers to purchase gifts. Again, even with all their research, shoppers are still open to suggestions. Men (58 percent) are more likely to purchase something recommended by a retailer than women (51 percent). A gifting guide (as mentioned above) is always a good way to go. It can be sent out via email or physically handed out in store. There are also numerous other ways to play up recommendations both in store and online. At your brick-and-mortar store, make sure you train your employees to help shoppers pick out gifts. 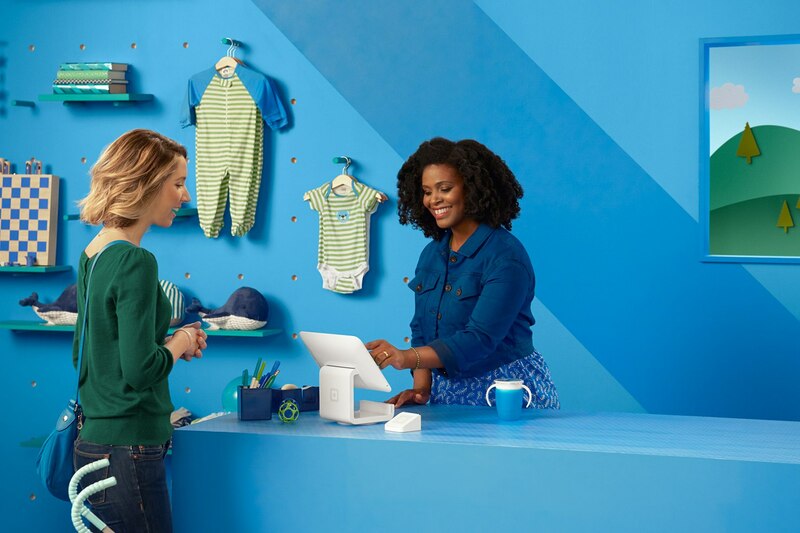 For a lighter touch, have each employee pick out a favorite item and showcase the picks in a display in your store, on your website, and on social media. You can rotate these picks weekly, and even offer special promotions related to them. Ninety-six percent of shoppers read reviews specific to retailers’ sites. Almost all holiday shoppers read reviews — often from multiple sources — so it’s important that reviews factor into your strategy (holiday and year-round) as well. If you have an online store that includes reviews on product pages, make sure they are prominently displayed. Of course you want them all to be positive, but even if there are negative reviews, it’s not the end of the world. Make sure to respond to consumers who aren’t satisfied. Being transparent builds trust. If you don’t have an online store, make sure that your business pages on review sites like Yelp and Google+ are up to date with your most current information and images. Again, make sure you respond to negative reviews in addition to positive ones on these public-facing pages. Three out of four consumers said they backed out of a purchase at the last minute last year. Consumers aren’t very patient during the holidays and they are very willing to abandon a retailer. Seventy-seven percent of shoppers left stores an average of four times over the holiday season because they couldn’t find what they were looking for. The good news is that there are some pretty straightforward ways to counteract this hesitancy and close the deal. The NRF found that 64 percent of shoppers were convinced to make a purchase because of free shipping. For 50 percent all it took was a limited-time sale or promotion. Buy online pick up in store (BOPIS) options motivated 33 percent of customers to make a purchase. Twenty-five percent of shoppers bought because of a free gift with purchase, and for 24 percent, all it took was good customer service. More than 70 percent of shoppers bought gifts for themselves during the holidays. As people are shopping for others, they’re also sneaking items into the basket for themselves. While some are impulse buys (see above), shoppers also use the holidays to buy things that they’ve put off purchasing earlier in the year. So when sales start, they use it as an opportunity to buy that pair of shoes they’ve been eyeing for months. Embrace this behavior. Hold a friends-and-family sale during the holiday season and invite only your most loyal customers to participate. Offer a gift card with a purchase to encourage your customers to spend on themselves. Or have a “Treat Yo Self” event where shoppers get extra discounts on certain products that they are more likely to purchase for themselves.